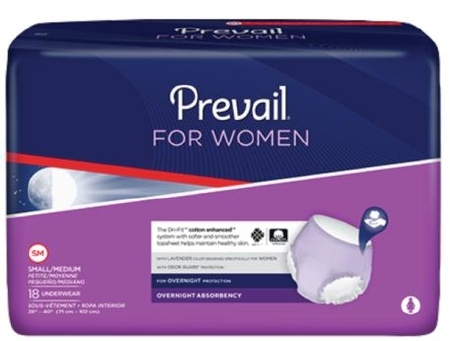 Prevail Underwear for Women Overnight The Previal Underwear for Women overnight use offers the same great comfort and features as the Prevail underwear with the protection of overnight capacity. The cotton enchanced surface helps keeps skin healthy by reducing friction. 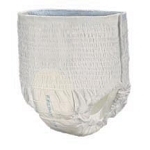 The cloth-like outer fabric is breathable, soft and comfortable. There are breathable zones in the ventilated side areas that allow the skin to breathe for a healthier skin. Now with an Air-Max layer that helps reduce moisture and humidity held at the skin surface. 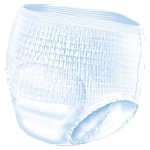 It helps increase breathability and comfort for the user.